First of all: You do want to know about this book. Secondly: It’s complicated. The book, the review, everything. If you are a motorsports enthusiast you already know that there must be hundreds, thousands of examples that could be discussed. 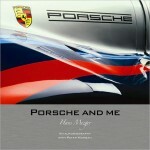 If you are a designer you already know the relevance of graphics in communication. 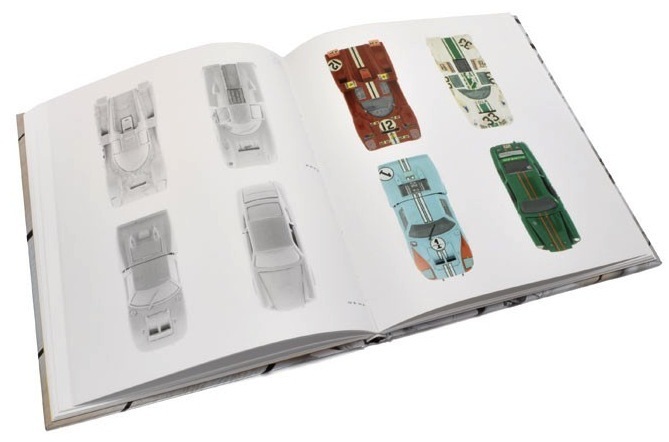 If you bought this book sight unseen on the strength of its title, you’d probably expect a visual primer on the evolution, purpose, and practical application of the use of graphics on racecars. Maybe an explanation of technique; maybe examples of what worked and what didn’t. The book does nothing of the sort. Not really. But here’s the thing: if the book predigested everything and took the reader/viewer by the hand, it would rob him/her of the experience of having a reaction—and you will!—and of observing the reaction, analyzing it, and, maybe coming out at a different place than you started. So, who is Sven “The Manipulator” Voelker? In no particular order, he is a professor, presently teaching Communication Design at the University of Art and Design in Halle and before that at the Karlsruhe University of Arts and Design where he headed the Communication Design Department. He also runs a design studio that does serious but avantgarde work for serious but probably nervous clients, for instance Voelker is responsible for the globalcorporate design of Suzuki Motor Co. His design work has received awards such as the CGI Tokyo, the Art Directors Club Award, the Red Dot, and the iF gold award. Not small potatoes. 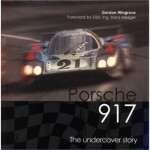 If you approach this book strictly as a motorsports enthusiast expecting to see real racecars and finally learn how Porsche’s Pink Pig came to be, continue looking. Elsewhere. What this book is about has more to do with the quote at the top. 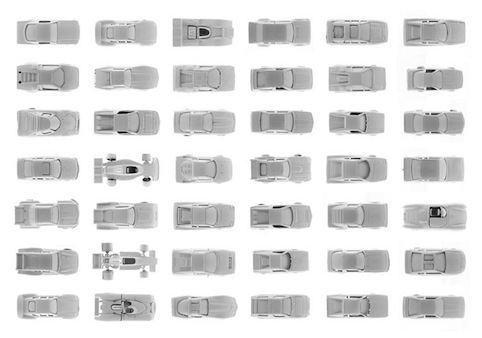 In that context it doesn’t matter that the cars Voelker shows are toys. That they are of different scales. That they are devoid of the detail of the originals. That they are all dusted with white chalk. Actually, the last item is essential. 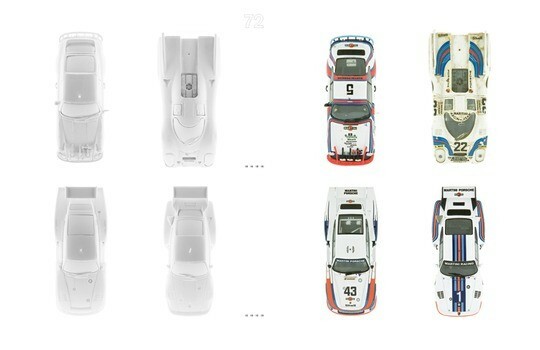 By making them all look the same and by obscuring their construction and paint features that would otherwise draw the eye and preoccupy the mind, and by juxtaposing photos of all-white, matte-finish, reflection-less cars next to their shiny (if dented) colored alter egos, the author allows you to see, to experience the different impact of pure form vs. decoration. Without words. If you are still reading this review, you have the fortitude to tackle this book. 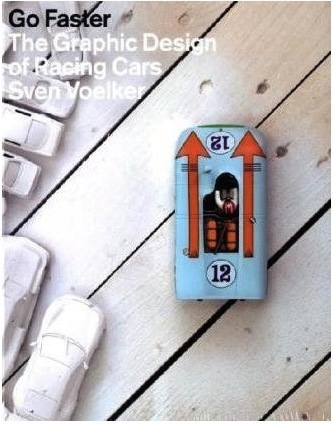 The publisher describes the author as a “car enthusiast” so let’s assume he is, even if some of his pronouncements on racing seem far-fetched. 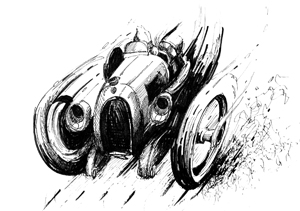 Upon describing the origins of national racing colors, Voelker’s main points are that initially racecar graphics were an afterthought, applied by whoever could wield a brush or cut tape; that the advent of television which allowed the viewer to keep their eyes on a car for some time instead of just having it whiz by in a flash made it essential to be able to visually distinguish them in the form of recognizable liveries and signage (coupled with sponsor signage); and that the larger, flatter WSC cars provided an irresistibly large canvas. 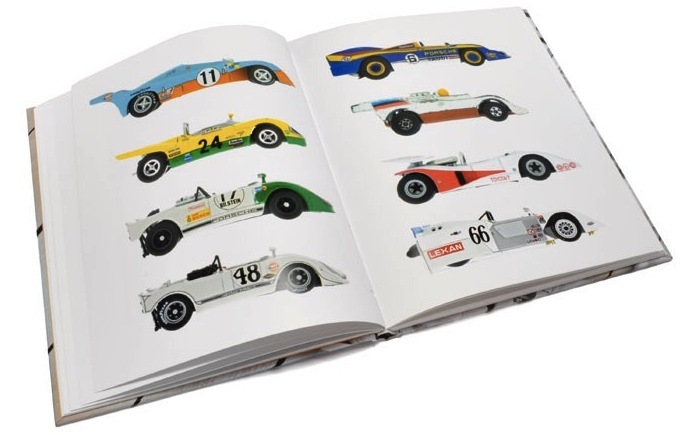 Period photos of real cars are used to illustrate this section, from the 1903 Gordon Bennett Cup to modern WSC racing, along with dedicated Art Cars by artists such as Calder, Warhol, and Hockney. And that’s it. The rest is up to you. 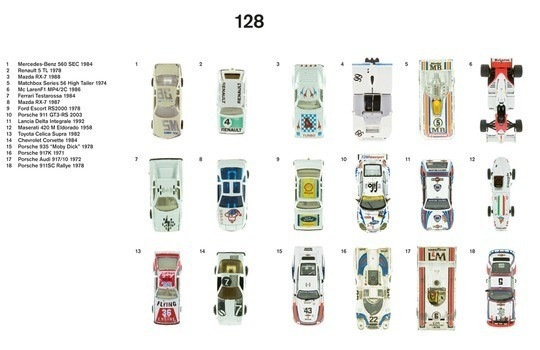 Look at the last 16 pages on which Voelker shows and names each of the 131 toy cars he used in this book (toy collectors note: no manufacturers are given). If you have eyes to see you will observe they are divided by color. And again you will make a mental note that nothing in this book is random. It may not be obvious, but it is not an accident. Ah, Art. Congratulations to Sabu for a review as intellectually stimulating as—apparently—Voelker’s book. This is a very compelling sales piece for a book I might not have considered before I read this review. Thank you SpeedReaders team.